Activities for everyone at the Yelloh! Village Parc de Montsabert! During your holiday, our organisers provide a wide range of activities in a really pleasant atmosphere. With archery, football, volleyball, badminton, tennis, water polo and more, all you have to do is choose! Come and enjoy an adventure on foot, by bike or on horseback, and discover the area surrounding our holiday village! Your children will really love going on a donkey ride on the estate! And for people who like watersports, we organise canoe and kayak outings on the River Loire! So choose the trip you fancy and enjoy an afternoon in the great outdoors! A region that is full of surprises! There's a whole range of leisure activities on offer for you to enjoy during the days you spend at the Yelloh! 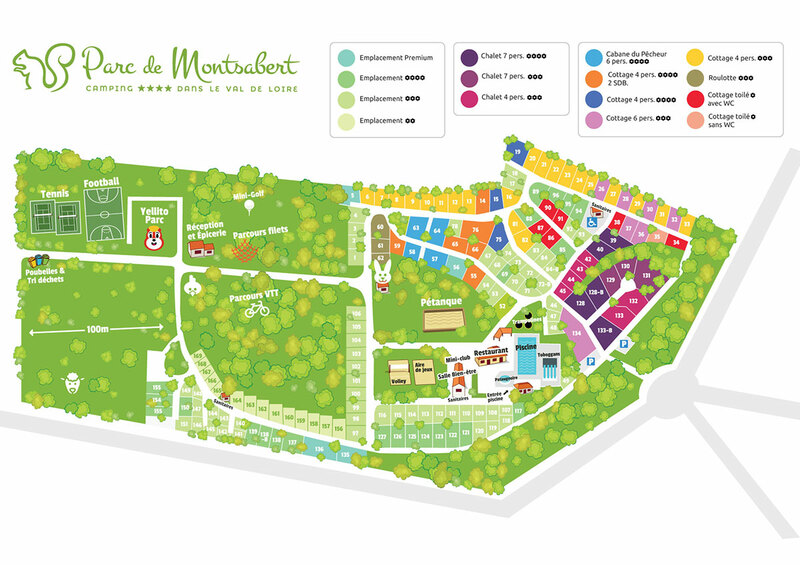 Village Parc de Montsabert! This region will gradually unveil its treasures to you! Your children will love discovering the animals in the Zoo de Doué la Fontaine, with giraffes, gazelles, cheetahs, tigers and many more! So head for the countryside and enjoy strolling in the heavenly gardens of the Terra Botanica, with a huge variety of flora to see! And why not give your holiday a touch of culture and history too! With your family or friends, come and enjoy the châteaux, abbeys and other monuments, or why not just come and watch one of the shows put on by Saumur's national equestrian school?